From what Kavinsky&apos;s tweeting, this "isn&apos;t a party, it&apos;s art," but from the looks of the poster, this could be one of the biggest shows of the year. 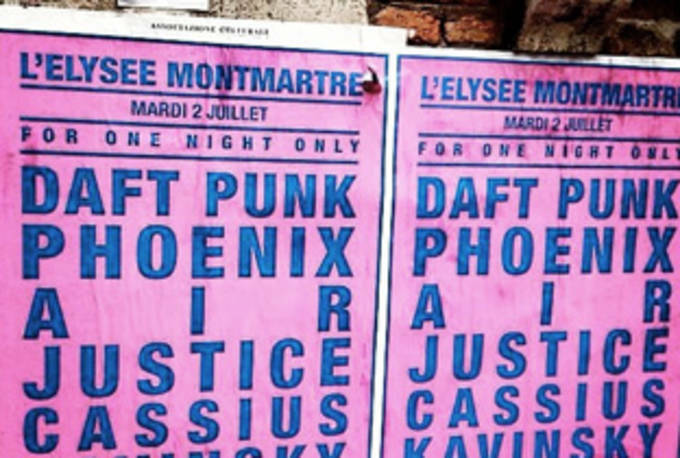 Daft Punk sharing a bill with Phoenix, Air, Justice, Cassius, Kavinsky, and Sebastian Tellier? Could be too good to be true, or it could be the best in the French dance music scene coming together "for one night only." There has been no official announcement or confirmation of this being a real show, but we will keep you posted. UPDATE It looks like this was a hoax. When Kavinsky said that it was art, he meant it; this was part of an art installation, and the venue had reportedly burned down in 2011.